How Can I Go Auburn Bike Company? Where is Auburn Bike Company in Auburn on the Map? I was in search of a good bike shop that specialized in the type of bikes and terrain I was interested in riding. The foothills area has quite a diversity of trail types and finding someone who knows a lot about them isn't easy. I was pretty surprised to find Auburn Bike Company was that shop and very local. This small shop offered the expertise, gear AND friendliness that I was looking for as a new rider. We purchased a Norco hardtail for our boy and after Jay put it together Curtis stayed after hours to get our boy fitted correctly. Then noticing we had our bikes with us he offered to check them out and made a bunch of adjustments to improve our fit and safety. That's wonderful customer service and we didn't even buy an expensive bike! I cannot recommend Auburn Bike Company enough. Excellent service and top notch brands! Very friendly and knowledgeable about all aspects of cycling mechanics. There would be no question about where I would go for any bike repairs! ABC is the best bike shop in town! Also, Curtis supports a local High School Mountain Bike Team, in which my son is involved. He has given many hours of his time and talents to us and many other people that frequent his bike shop. 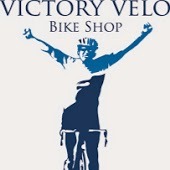 My go-to bike shop in Auburn. Curtis has a passion for bikes and is dialed in to what is going on in the bike industry. He does a lot to support local cycling at all levels (kids, women, weekend warriors, elite riders, enthusiasts...) and is always happy to provide good advice to help improve ones ride experience. 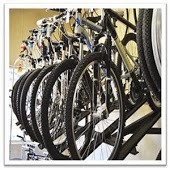 I have purchased used bikes and sold used bikes/parts through ABC and am always treated fairly and with integrity. I've been to every shop in Auburn, but when people ask for my advice, this is where I tell them to go. Oh, and free trail head parking is a bonus. Great shop, great staff. I came from out of town and they got me out of a bind quickly and on my way. Very helpful.